Follwing their first version of the Kokosing, Modern Tiny Living has debuted the second version of the home; the Kokosing 2! 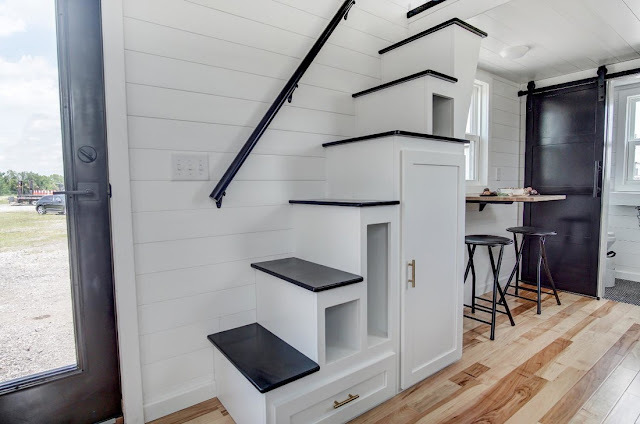 This one is similar in layout to the first one, but with a different color scheme throughout the home. 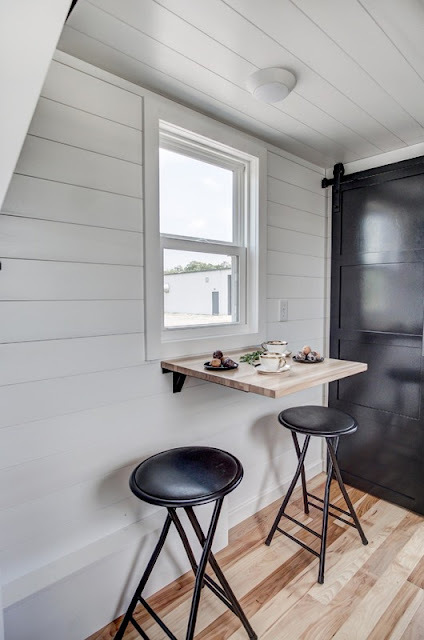 The home's exterior fatures lapped Smart Siding witha 50-year warrenty, and a steel roof. 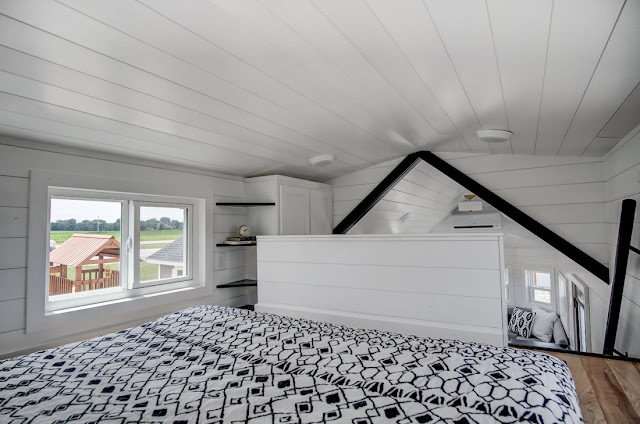 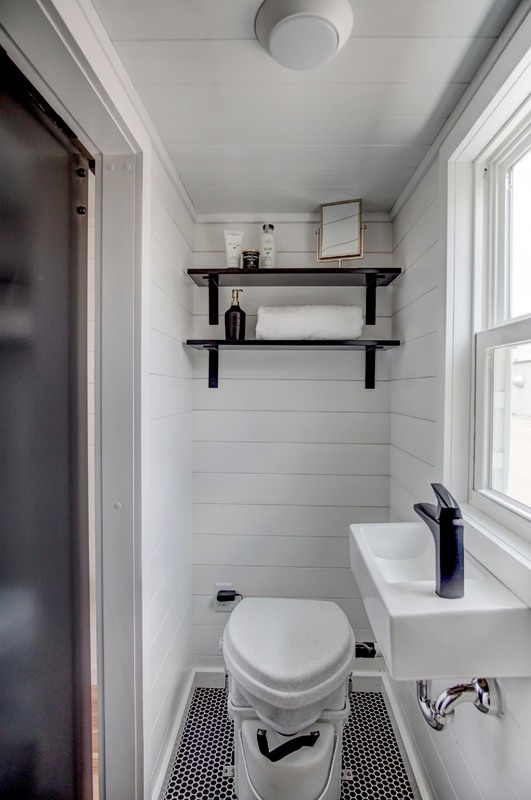 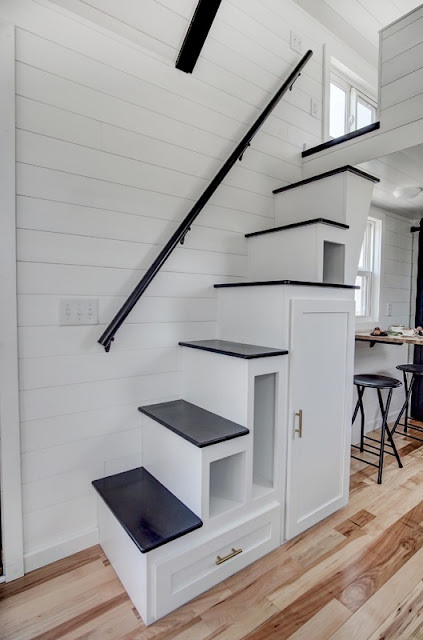 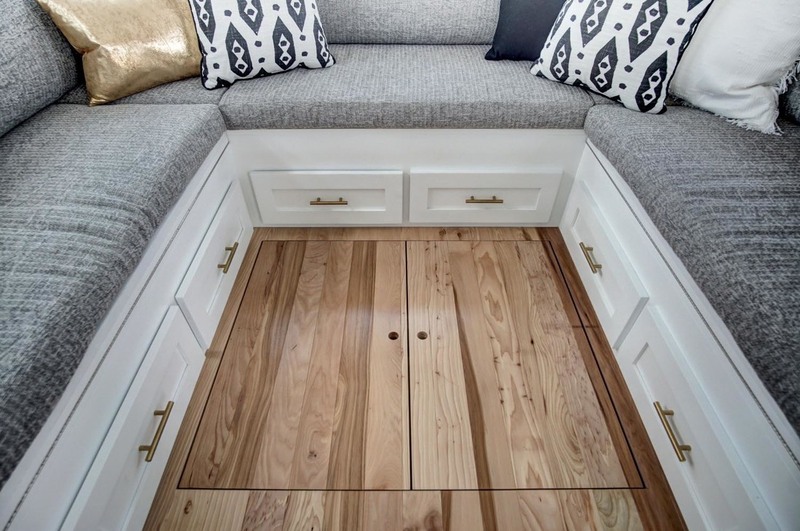 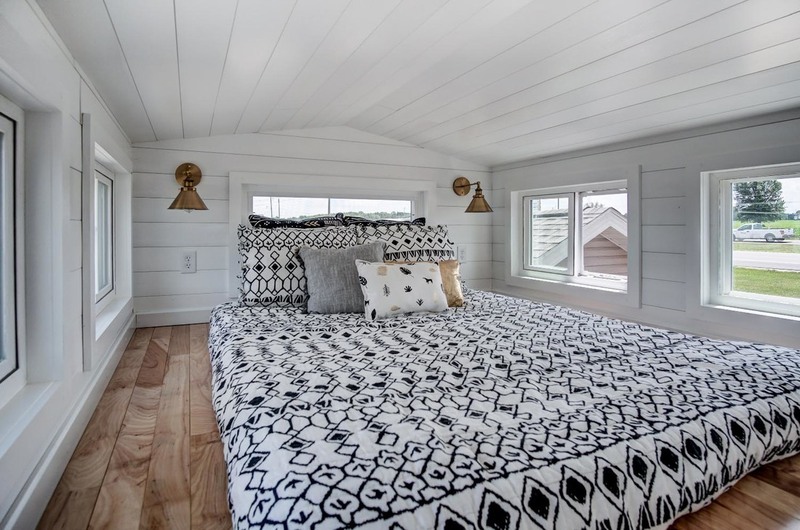 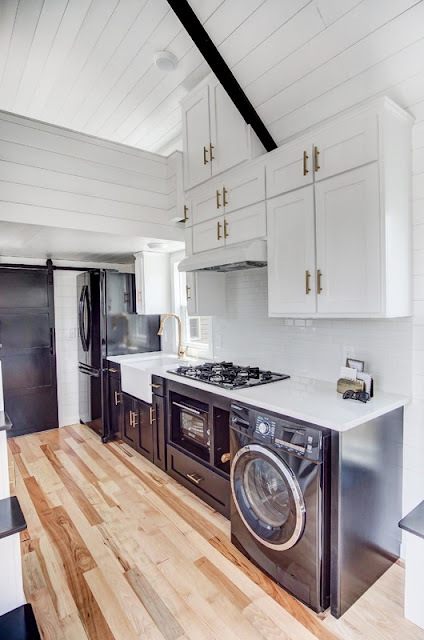 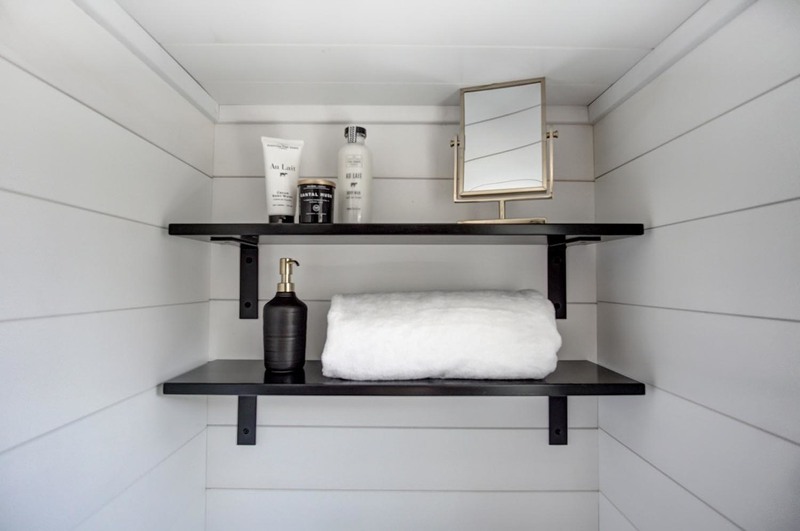 Inside the home's 256 sq ft layout are beautiful white shiplap walls an hickory hardwood floorig. To access the home's bedroom, there's a staircase leading up to a queen-sized loft. On the opposite side of the home is a raised living room with grey seating that matches the neutral aesthetic of the room. 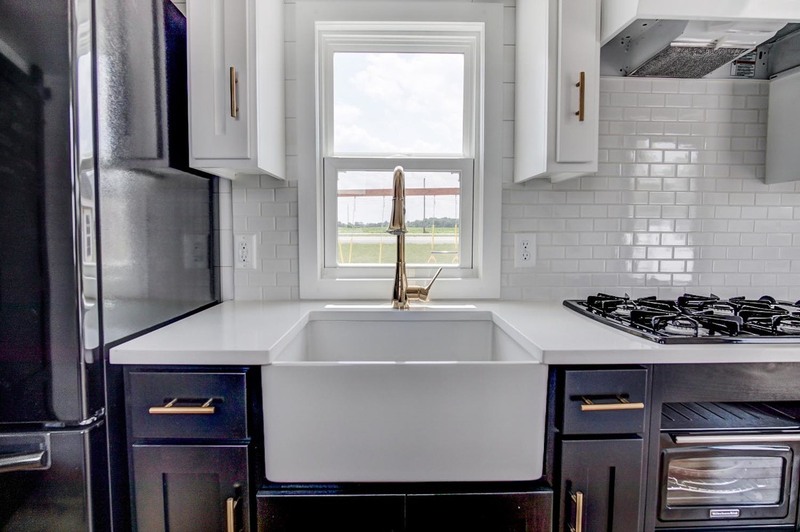 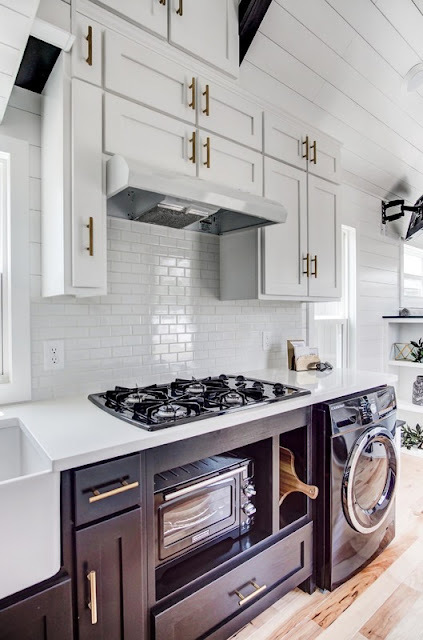 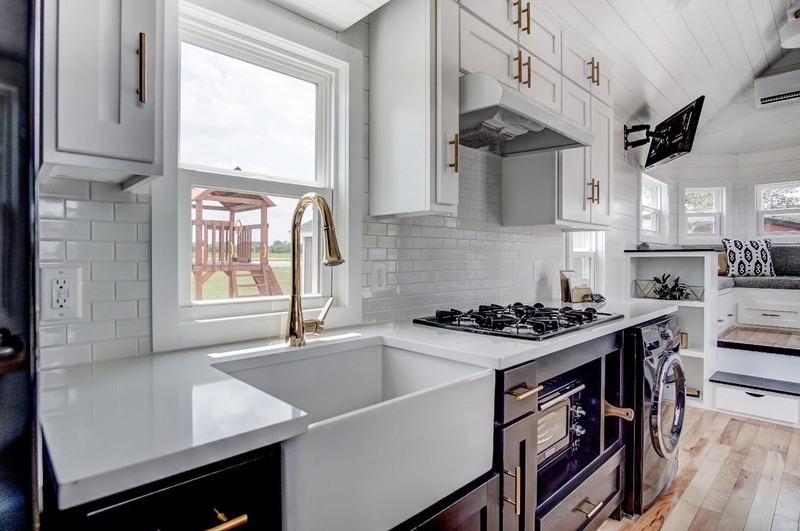 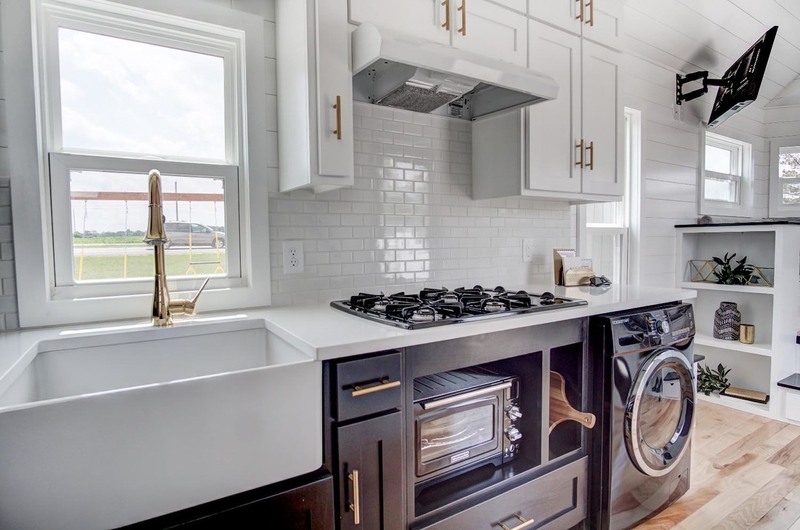 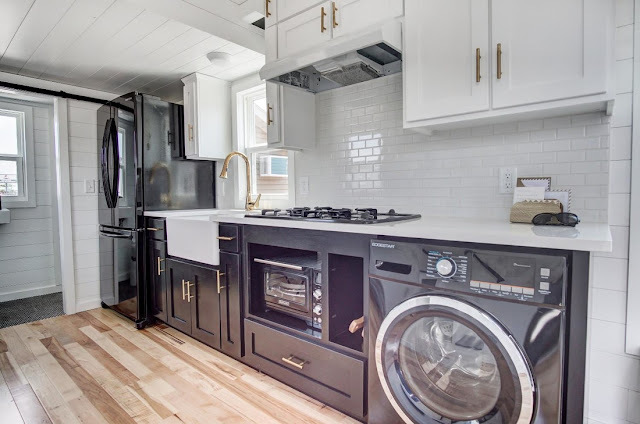 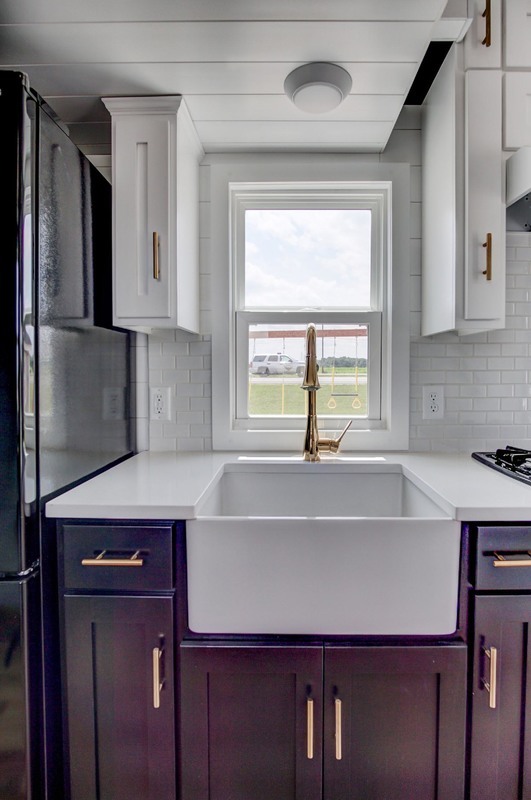 Exiting the living room and entering the kitchen, you will see that this space is furnished with a farmhouse sink, 4-burner stovetop, white and black cabinetry, full-sized refrigerator/freezer, washer/dryer unit and white quartz countertops. 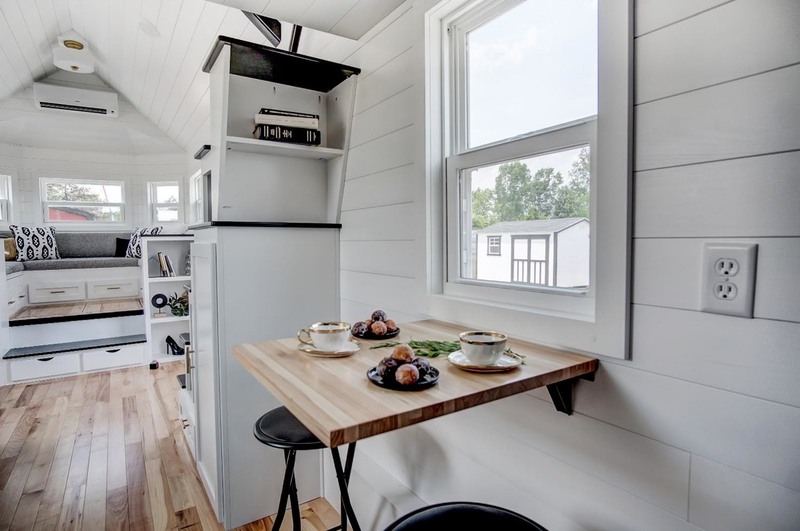 Across from the kitchen area is a dining nook. 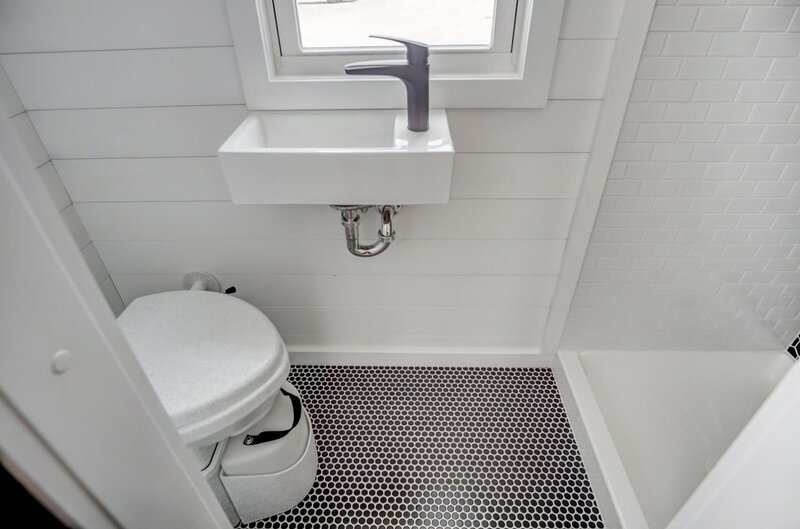 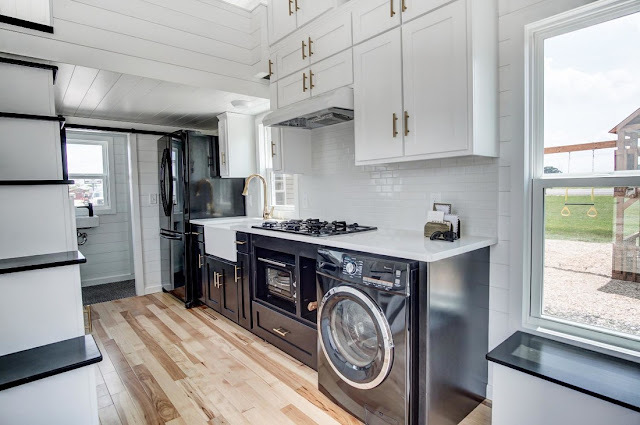 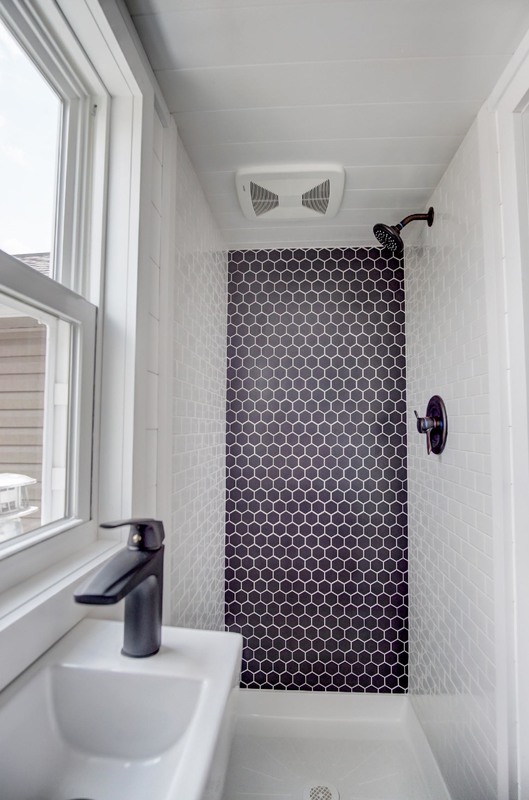 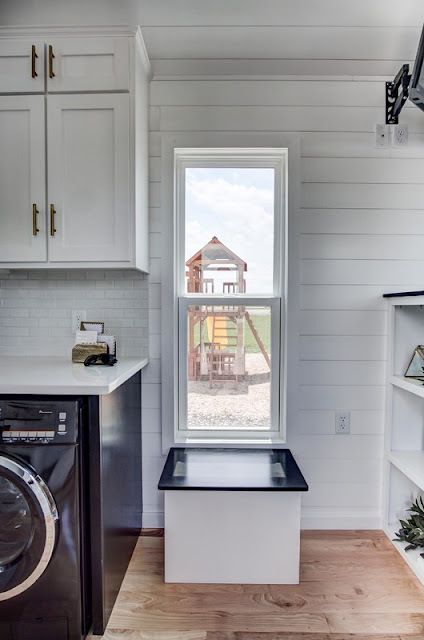 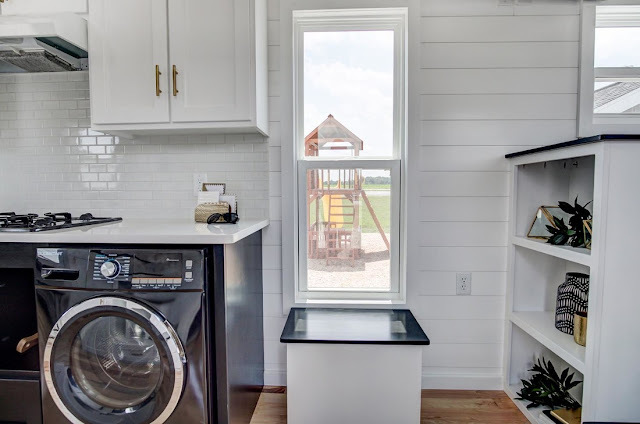 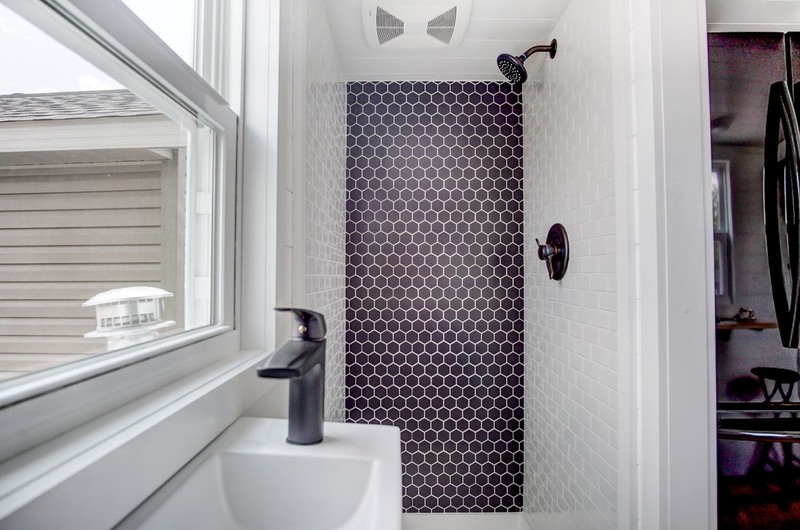 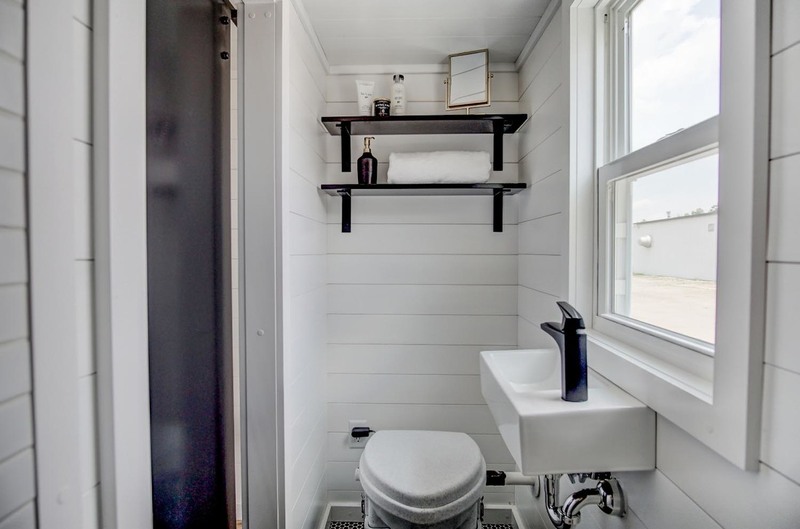 If you continue past the kitchen to the far left of the house, you will find yourself in the bathroom featuring a composting toilet, sink, shelving for storing personal items and walk-in shower. 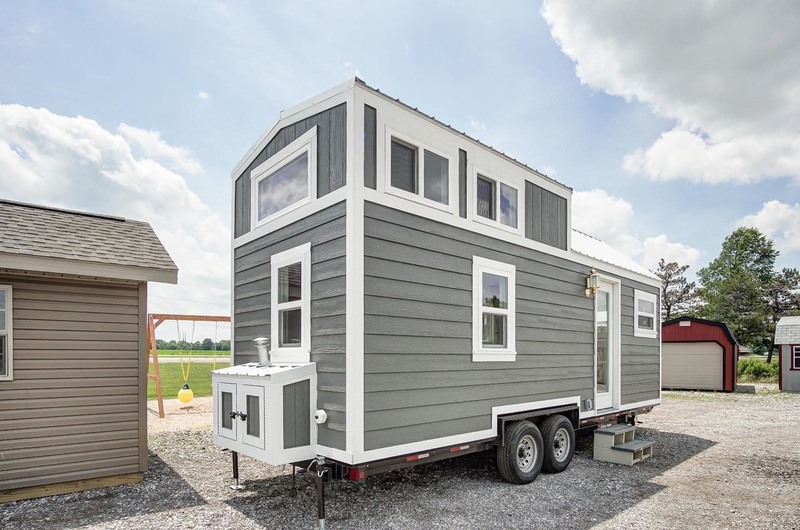 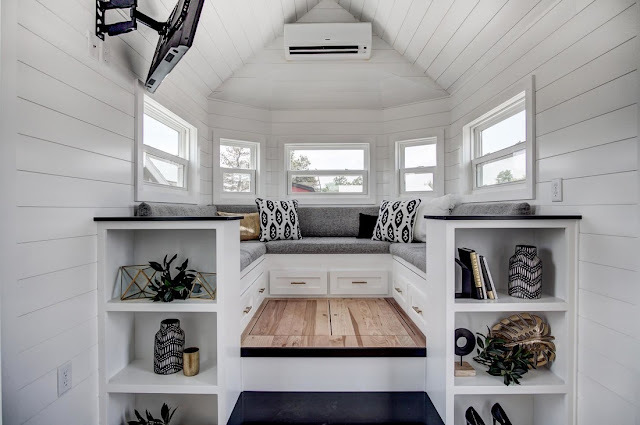 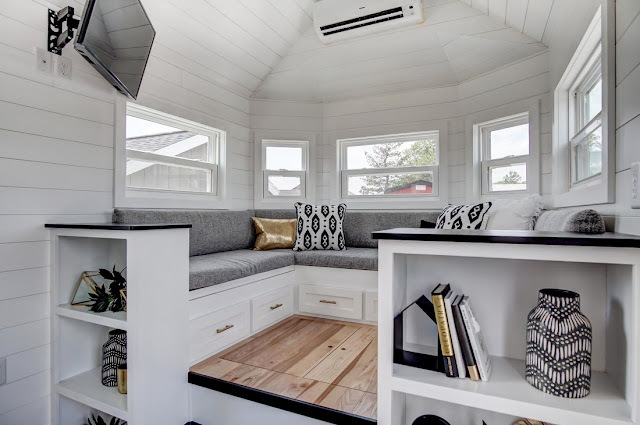 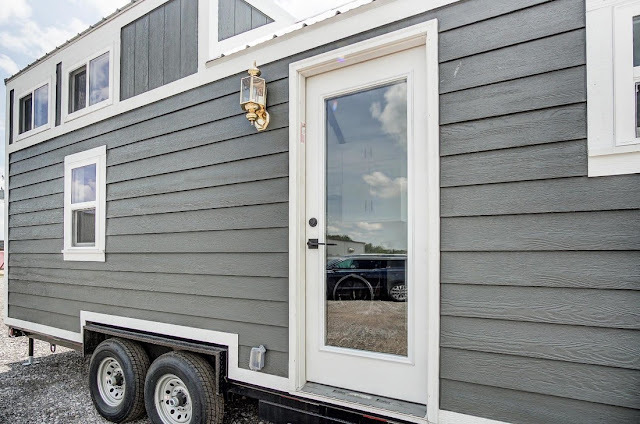 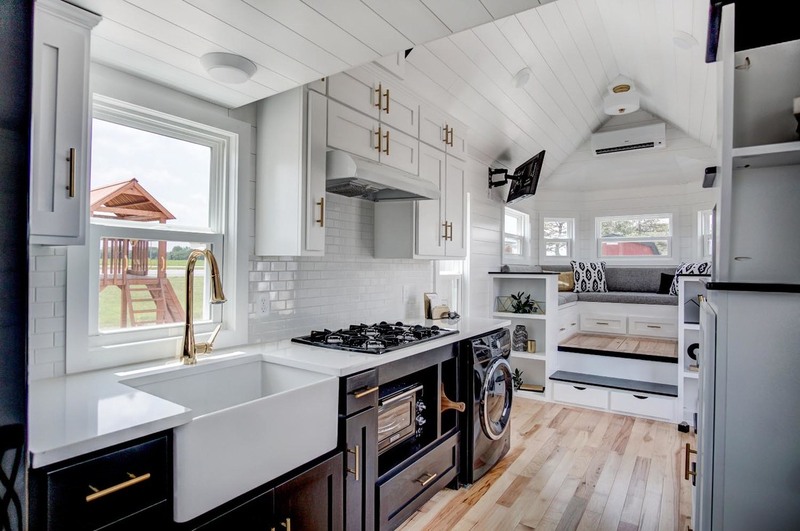 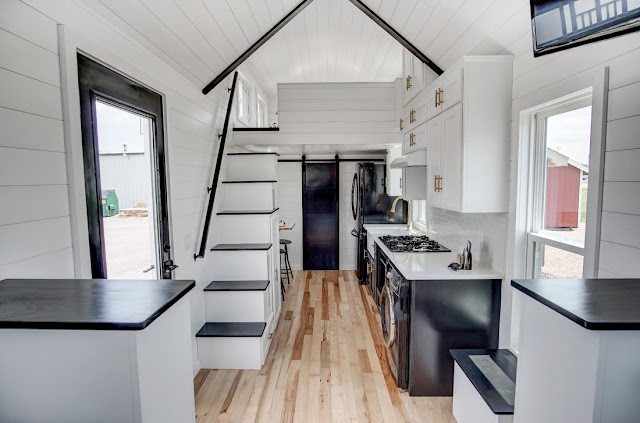 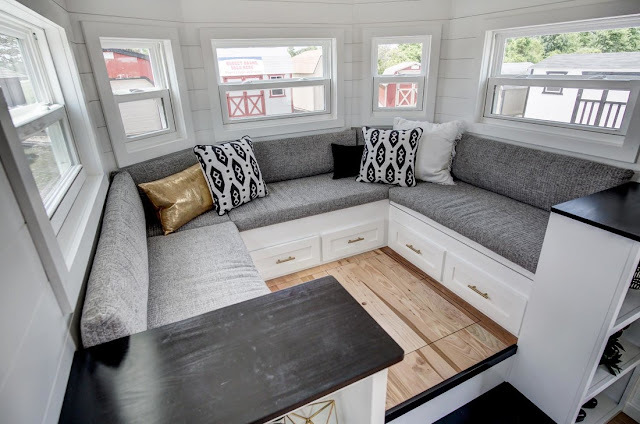 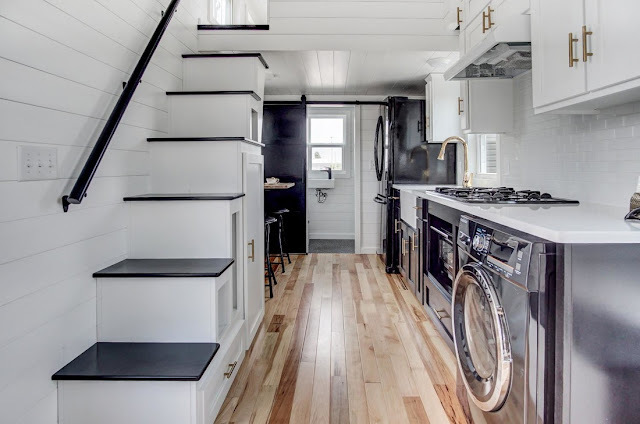 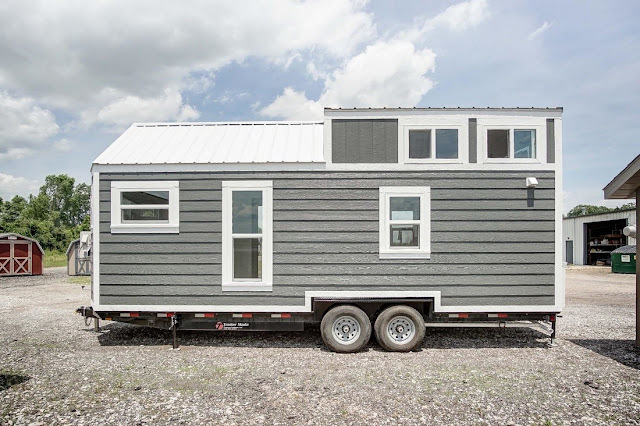 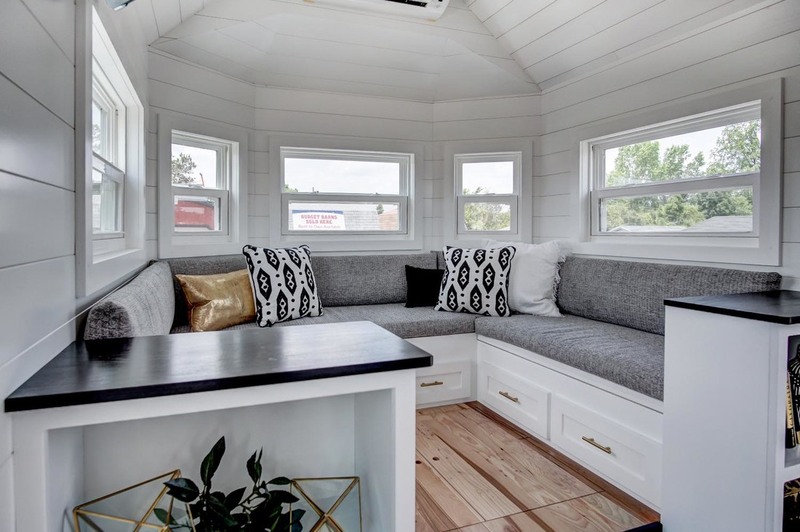 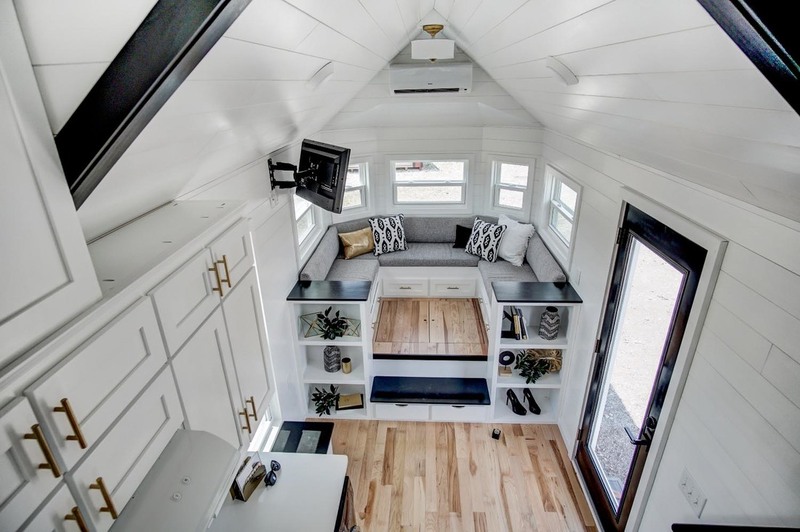 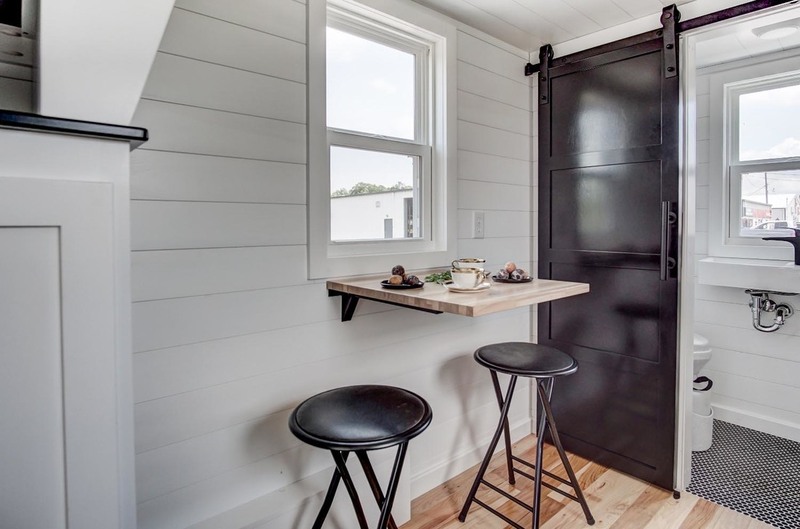 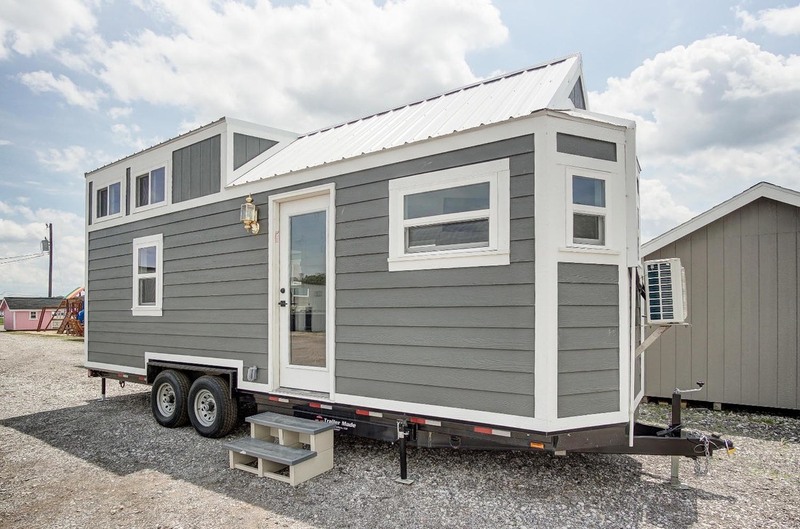 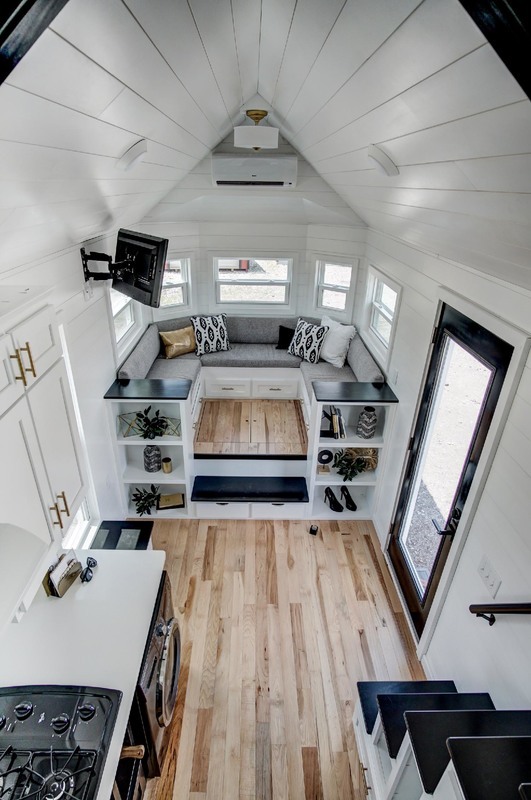 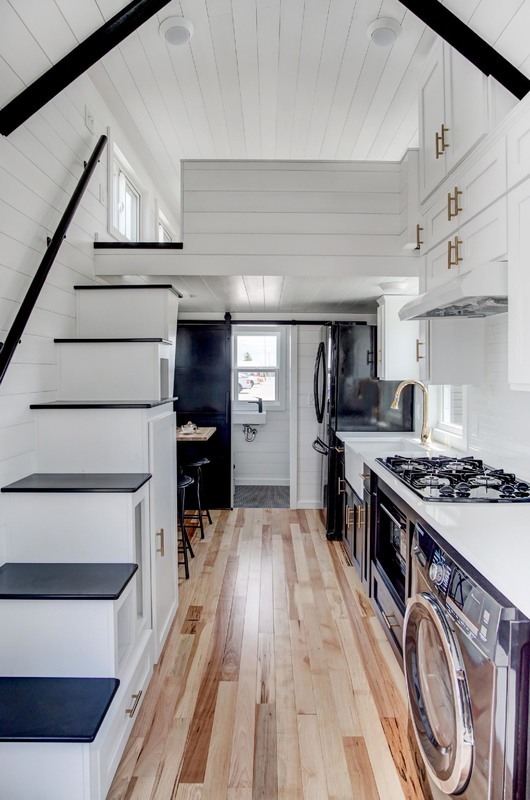 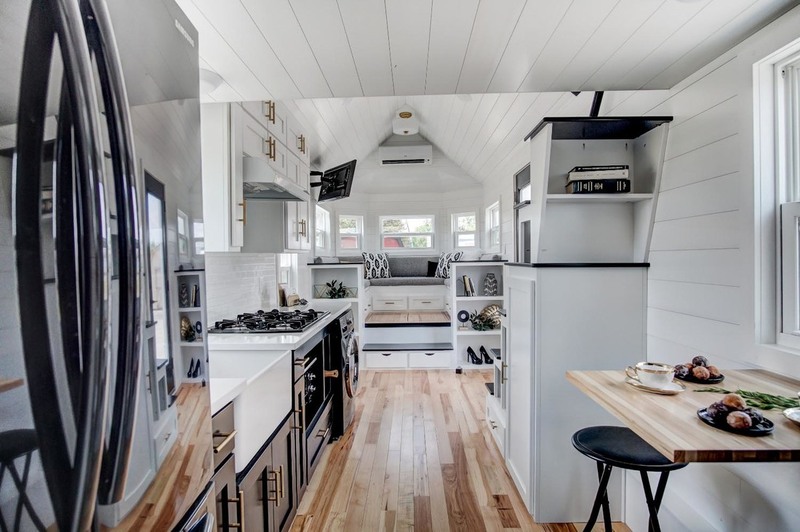 This modern tiny home is priced at $84,000! 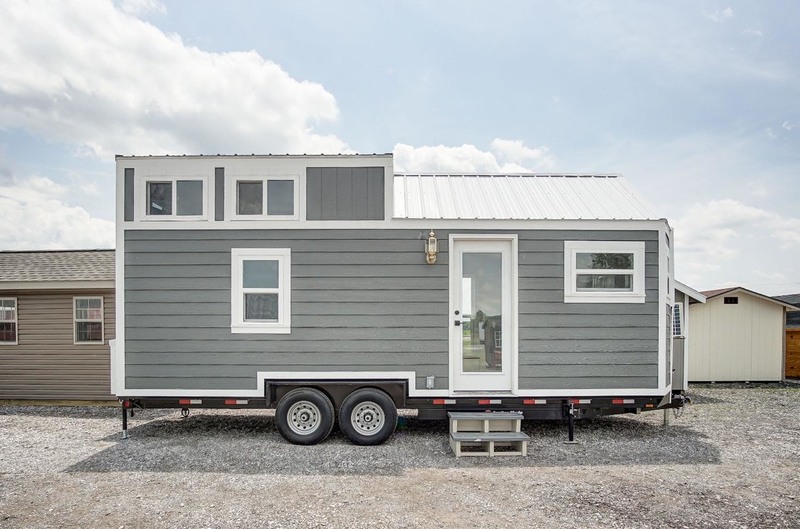 For more information about the home, contact Modern Tiny Living here!